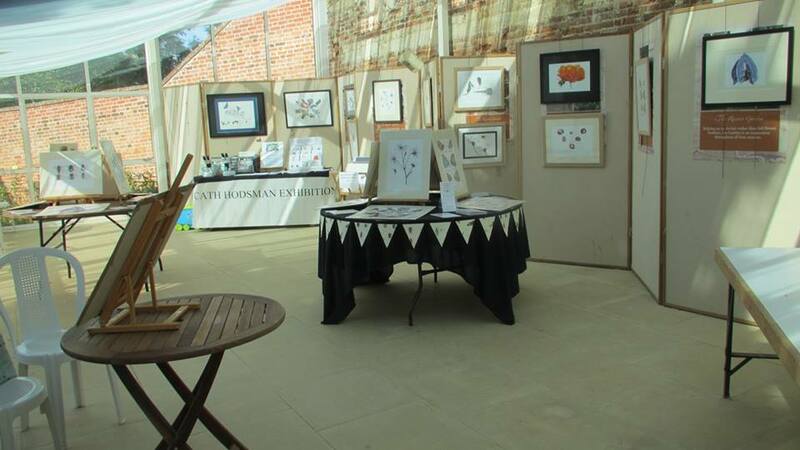 Click here to see Cath’s exhibitions, talks and shows. 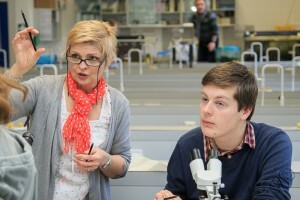 Click here to see details of her fascinating art courses. 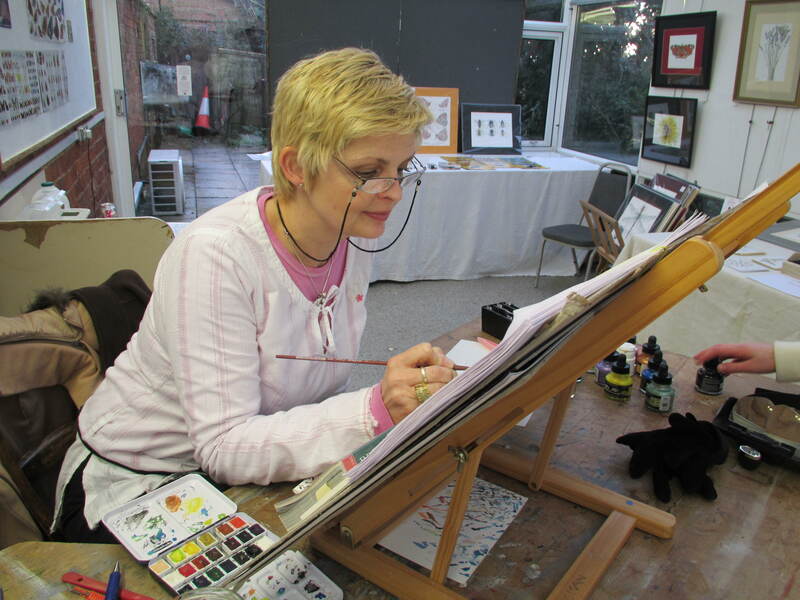 Click here to see details of Cath’s Artist in Residence and Exhibitions. 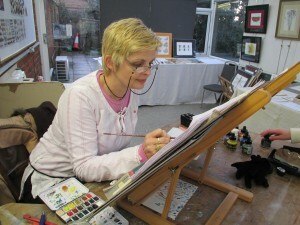 Cath painting during a residency at Nature in Art. 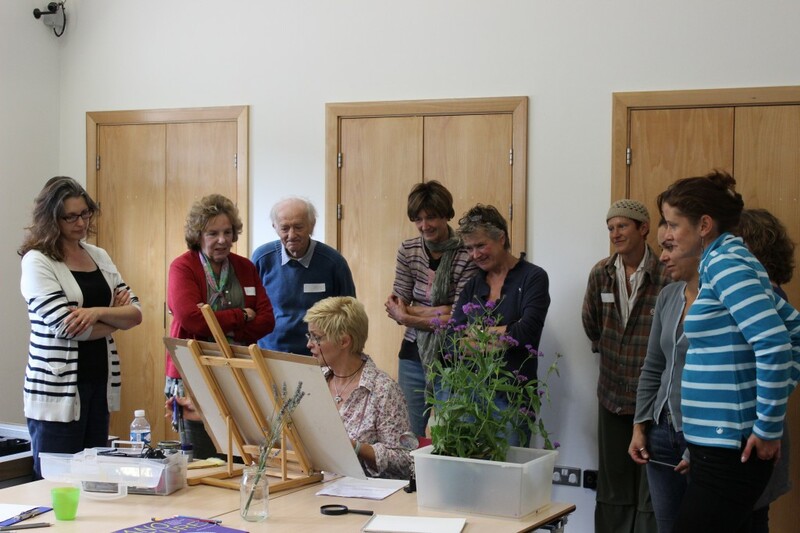 Cath’s British Wildlife art, exhibitions and painting courses endeavour to raise the profile of British wildlife and particularly entomology, so that we all have the chance to appreciate it for its beauty and diversity.